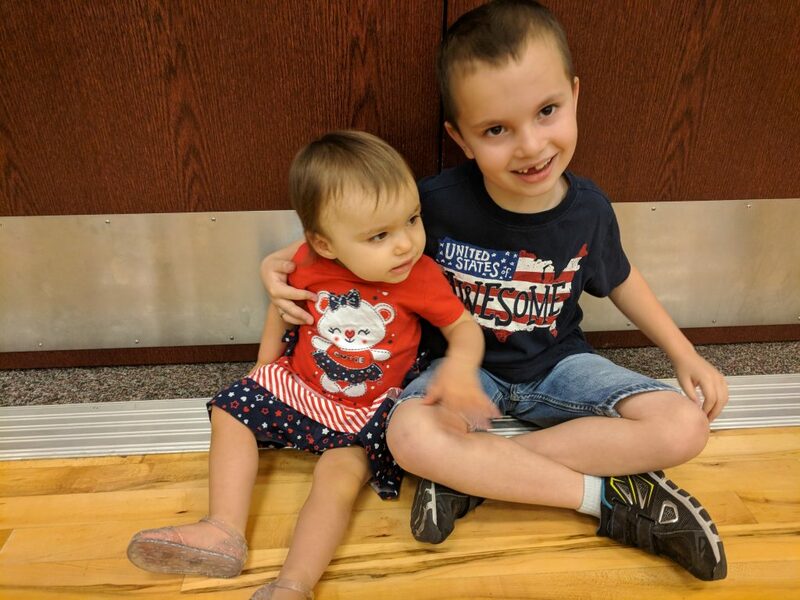 Weekly Happenings: The main happening this week was our Fourth of July festivities. We went to a waffle breakfast at church, Paul grilled hot dogs for dinner, and we enjoyed the neighborhood fireworks show (the rain almost made us postpone, but it stopped in plenty of time for us to still have fun). We’ve also enjoyed having Paul home from work since he took the two days after the holiday off from work. It made for some good family time. 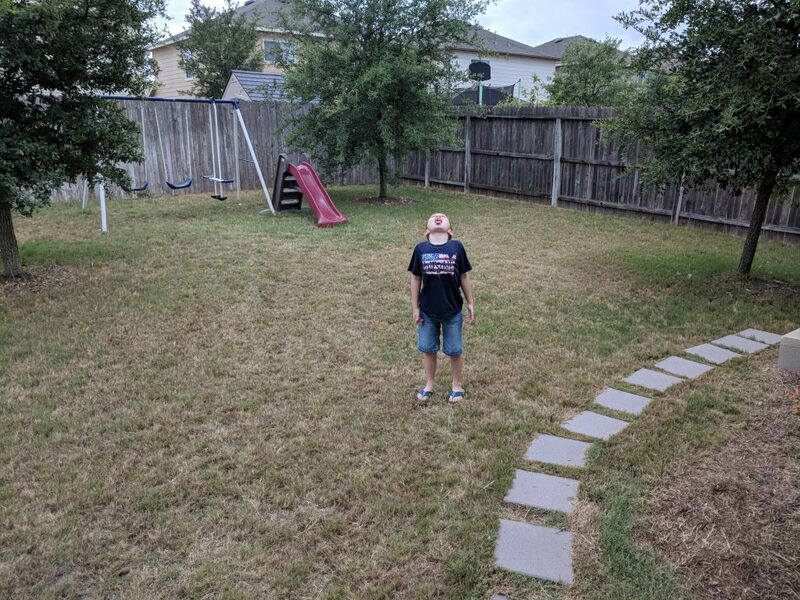 The Weekly Weather: Mostly warm and dry (by means of precipitation, not humidity, haha), but we’ve had a few storms come through, which were much needed. What Paul’s Been Up To: He’s been busy with work, school, and family fun. He was also called to be the secretary in the Young Men’s Presidency. What Sarah’s Been Up To: I’m just trying my best to keep the kiddos happy, healthy, and relatively entertained. 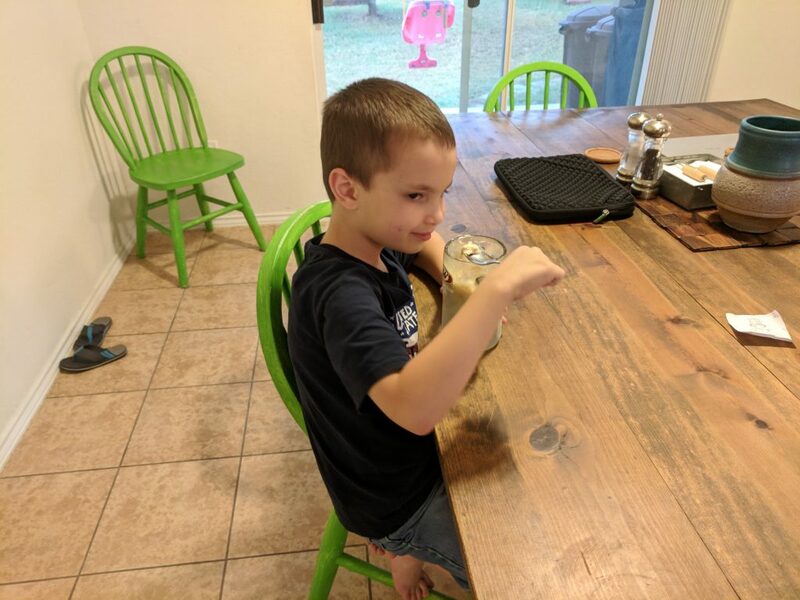 What Joseph’s Been Up To: He enjoyed the Fourth of July fun (especially getting to try a root beer float for the first time, which he said he really liked). 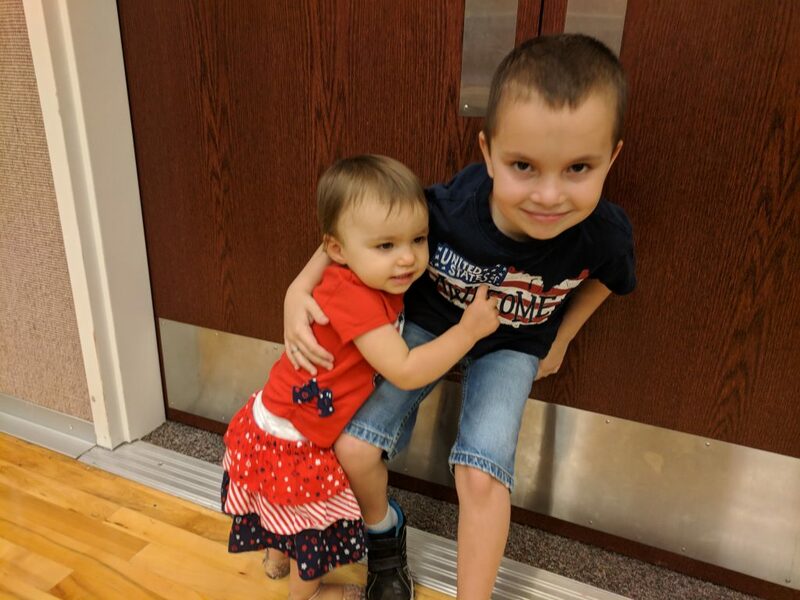 He’s also been a super helper with Abigail. She loves to play with him (he’ll get her to chase him around the house, which is pretty entertaining to watch, albeit a bit hard on the ears, what with all the shrieking). I’m so grateful for the great little boy that our family has been blessed with! 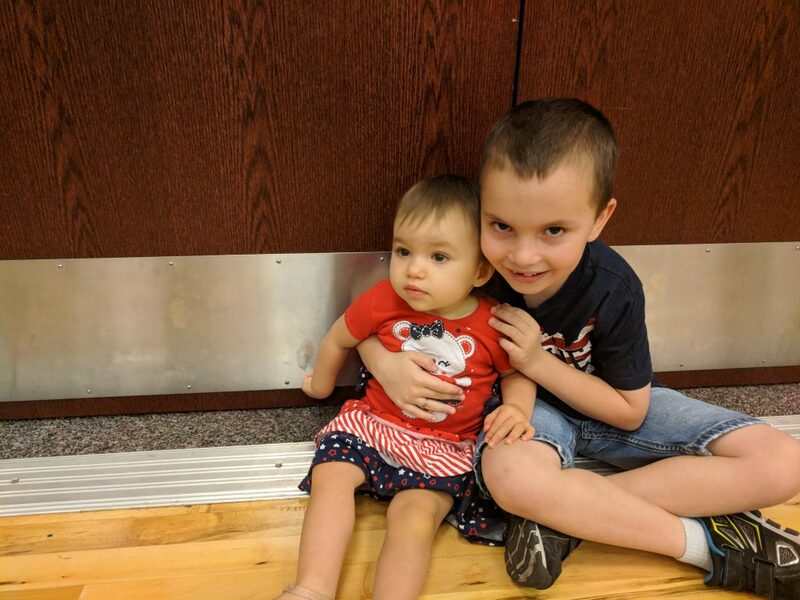 What Abigail’s Been Up To: She’s been battling a bit of a summer cold, which has made her a little crankmeister at times, but for the most part, she’s been her normal happy-go-lucky self. 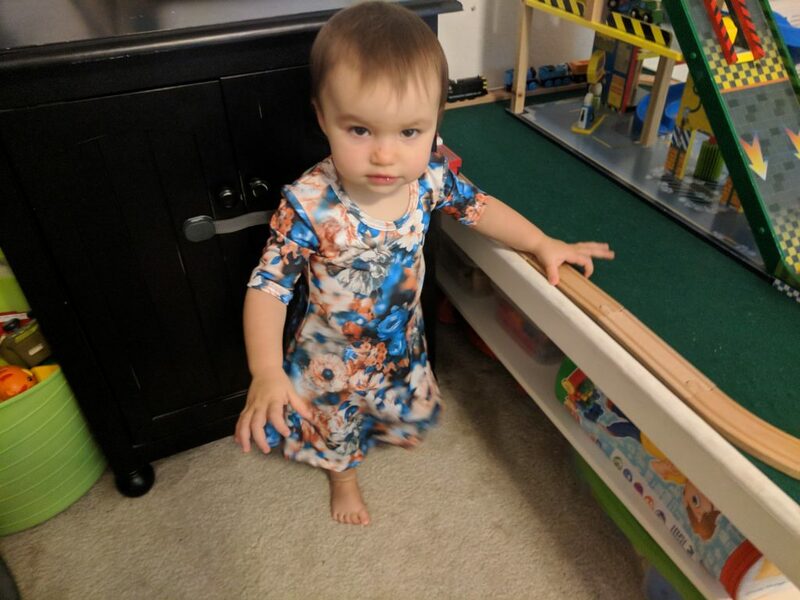 She’s getting better at walking and we purchased a Mickey table and chairs set for her to be able to practice sitting (she’s had a couple of tumbling-out-of-chairs moments at nursery, so we felt the need to give her a bit more exposure to see if the practice will help avoid that in the future). 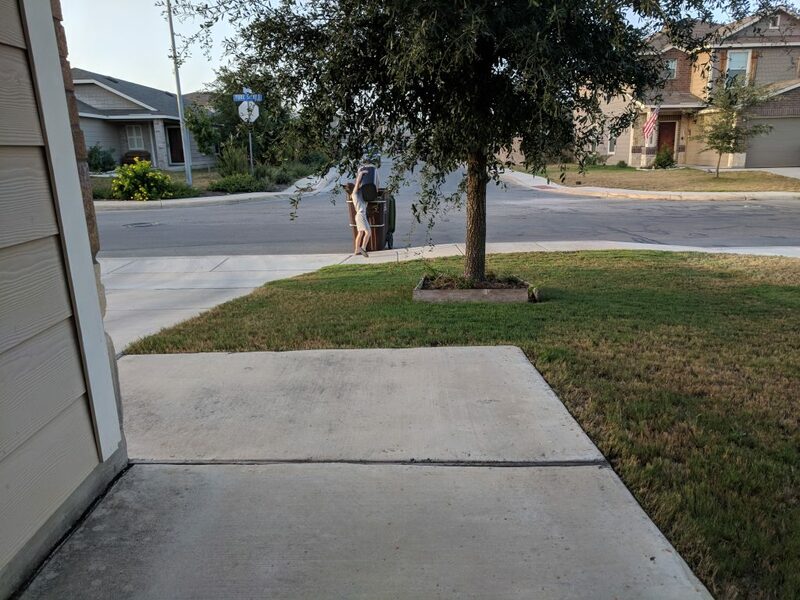 I told him he could help carry the recycling to the street. Next thing I knew, he had it out the front door and down the driveway all on his own. Workin’ myself out of a job and not feeling the least bit sorry ’bout it. Getting the both of them to settle for a picture can prove…challenging. 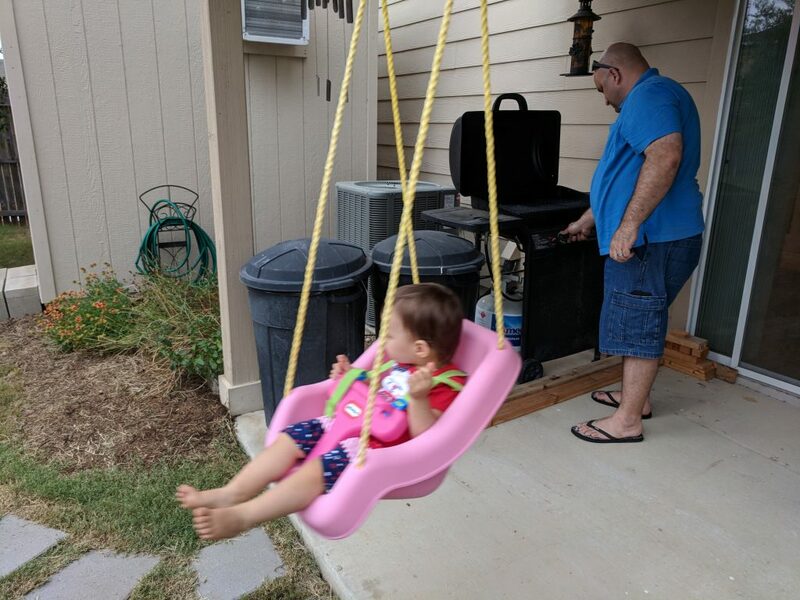 Joseph is usually a willing participant, but now that Abigail is even more mobile…forget about it. Yup. Still trying to escape. I gave up after this one, haha. 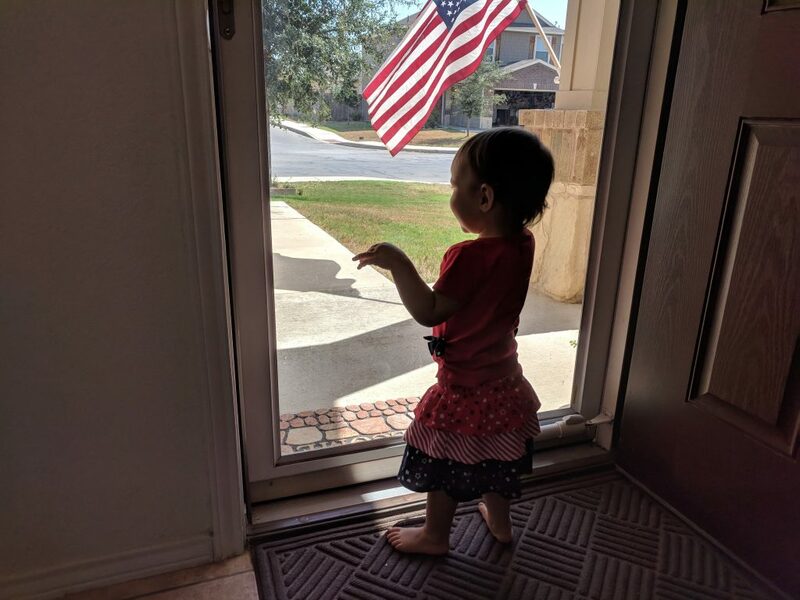 She loves looking out our storm door. Taking advantage of the covered patio to grill the hot dogs for dinner (since it was raining at that point). Catching rain on his tongue. Enjoying a root beer float. A pinnacle of perfection for food placement. 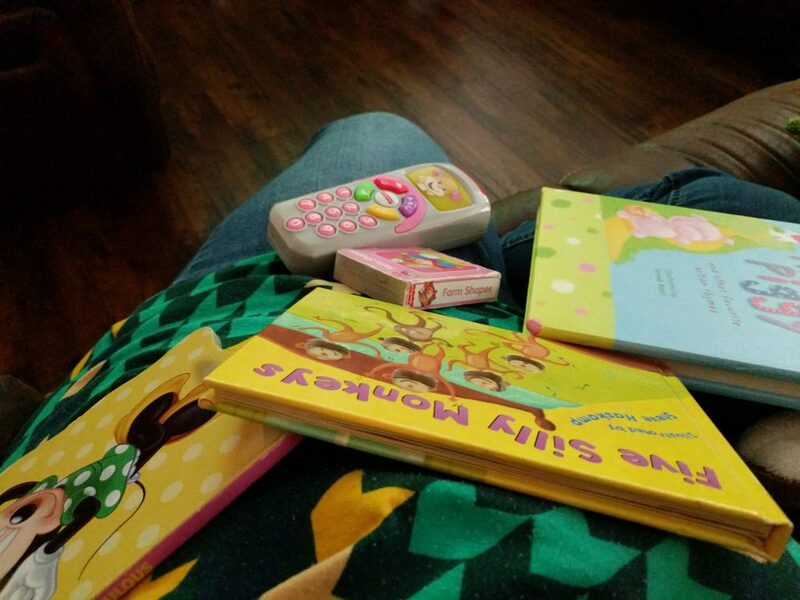 The other night, Abigail decided I needed all of these things in my lap. She’d bring something over to me, shove it in my lap, say “thank you”, and then she’d be off for the next thing. 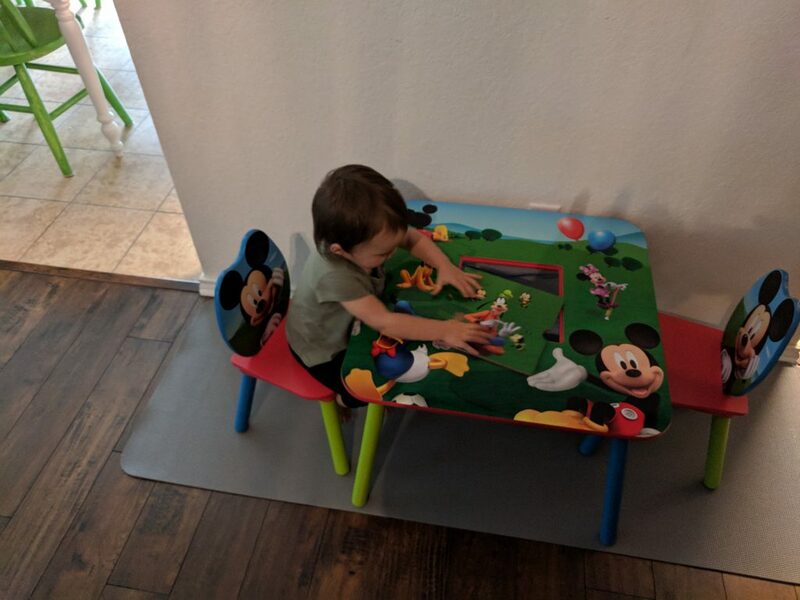 Checking out her new Mickey table. It’s got a storage area in the center that’s covered by a panel. 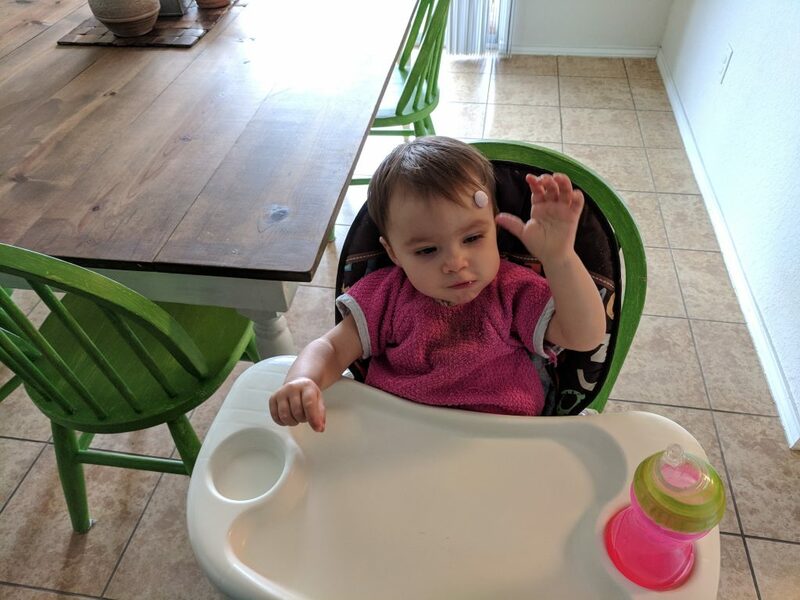 She seems mostly interested with taking the panel off and then trying to put it back on, but she’s getting better at sitting on the chairs (as opposed to trying to scale them and then jump off). 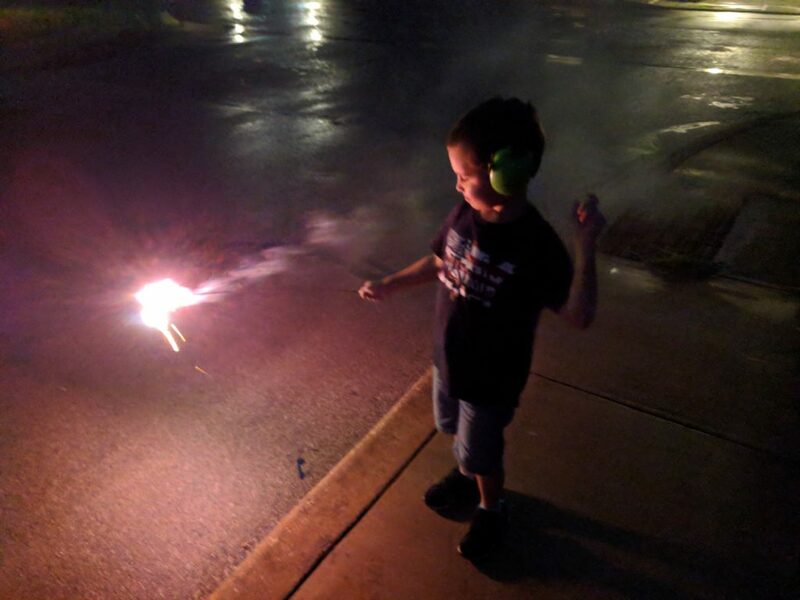 Bonus Video: The fireworks that our neighbors were setting off (hopefully the fact that Joseph was wearing hearing protection in that one picture now makes more sense).